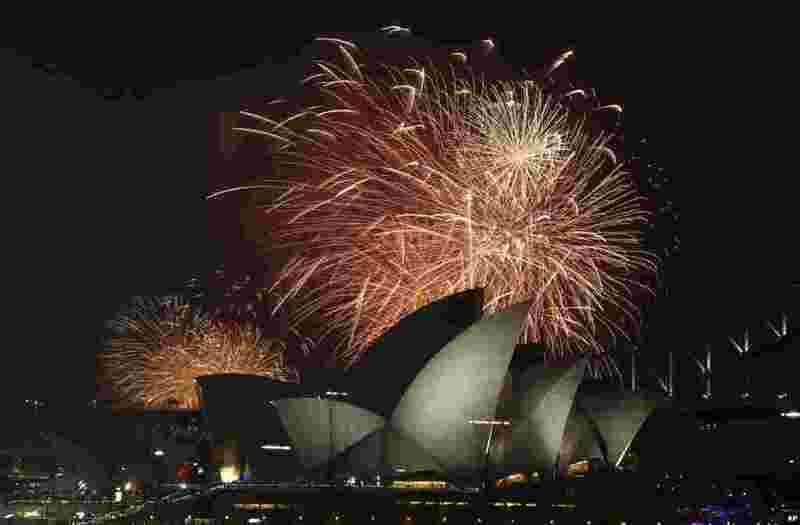 1 Fireworks explode over the Opera House and the Harbour Bridge during New Years Eve celebrations in Sydney, Australia. 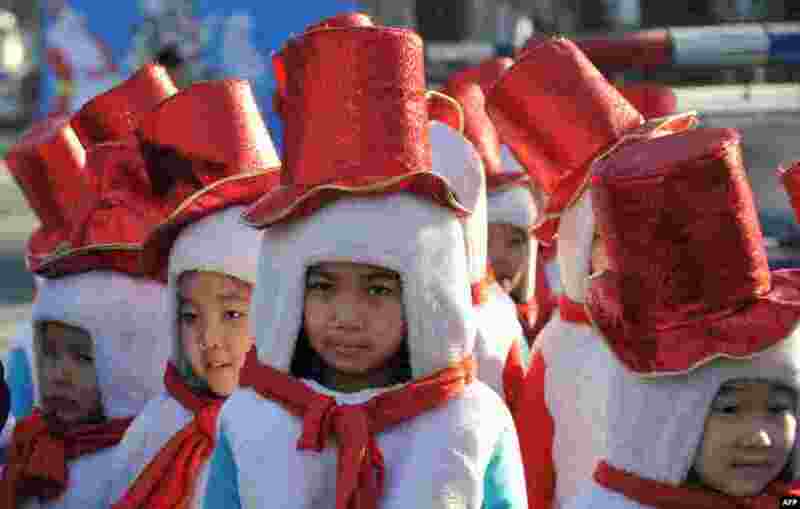 2 Children dressed as snowmen take part in a New Year's parade in the Kyrgyz capital Bishkek. 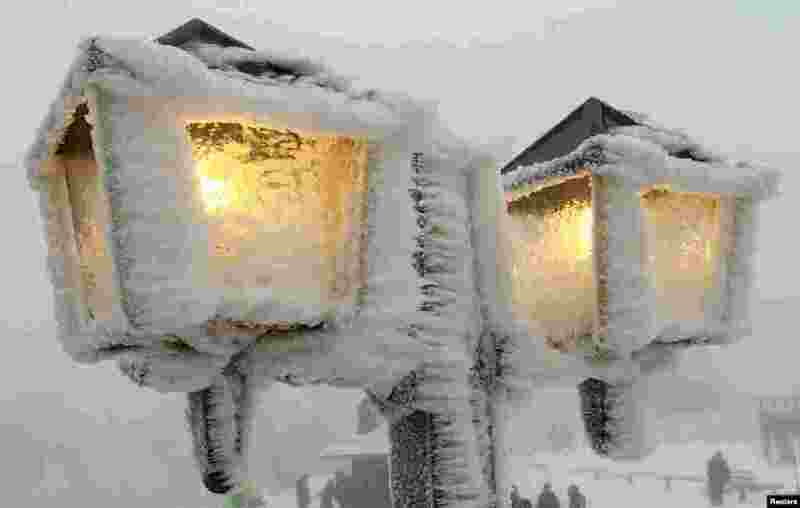 3 Streetlamps are covered in snow and ice outside a restaurant on the peak of the Feldberg mountain, 20km (12.4 miles) outside of Frankfurt, Germany. 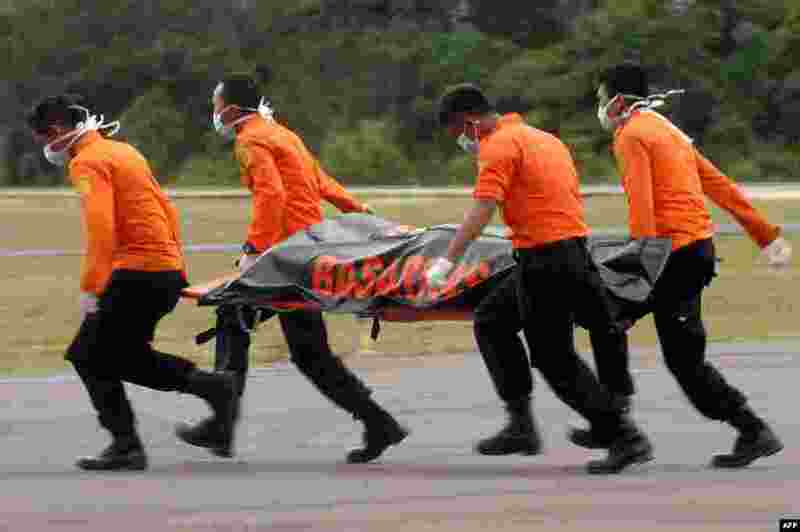 4 Members of an Indonesian search and rescue team carry a dead body on a stretcher during the recovery of victims who were onboard the crashed AirAsia flight QZ8501 in Pangkalan Bun.